Justice minister Tudorel Toader is expected to present a draft to amend the emergency ordinance no 7 regarding justice laws, with some amendments agreed with the Superior Council of Magistracy (CSM), including the repeal of article 54. „I will present to PM Dancila the draft emergency ordinance and then I will send it to CSM for consultation. After that, the opportunity of law-making is a topic to be discussed in the ruling coalition,” Toader told Antena 3 private broadcaster. Justice minister announced that the draft ordinance to amend the previous GEO 7/2019 on justice laws will contain revisions that had been agreed on Monday during the meeting between PM Dancila with the CSM representatives and with the members of the magistrate associations. One of the amendment is to repeal article 54 in the ordinance, which mainly stipulates that judges and prosecutors can become high-ranking prosecutors and the green light is not given by the CSM’s prosecutor section, but by the CSM plenary. 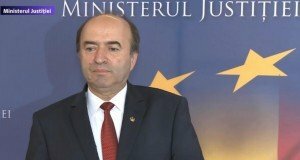 „Article 54 is repealed, and we get back to the previous provision, meaning that only prosecutors can become high-ranking prosecutors and the Okay is given by the CSM’s prosecutor section,” Toader said, adding that another amendment is solving the salary gaps for the IT experts in the judiciary sector. 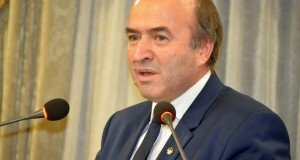 Prosecutors of the Superior Council of Magistracy (CSM) have met Justice minister on Friday, with Toader telling them that he will give up five of the articles in the GEO 7. Nicolae Solomon, head of the prosecutors’ department within CSM said the article on the magistrates’ assignments will be revised and the assignments will be decided by the CSM’ magistrates’ department. 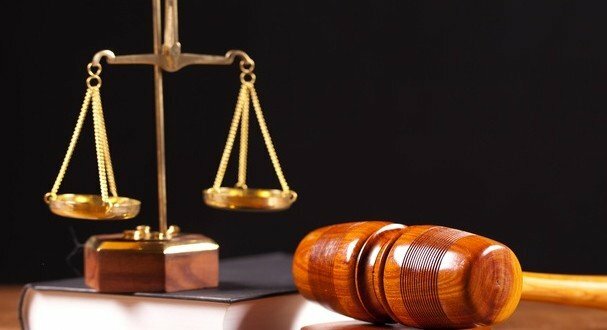 At the same time, the ministry will give up the provisions regarding the good reputation, the ones on the unitary payment of the judiciary staff. However, the CSM representatives said he had told the Justice minister that the concerns of the magistrates are far wider than the ones encompassed in the GE0 7. GEO 7 on justice laws has been harshly criticised by the prosecutors and judges within CSM, but also by the associations of magistrates, opposition parties, or international bodies. Magistrates have kicked off protests countrywide, asking for the repeal of the ordinance. A wide mass protest was also staged last weekend in Bucharest, with around 10,000 people asking for the repeal of the controversial ordinance. A new rally is scheduled for this Sunday. Meanwhile, despite the Justice minister’s announcement about GEO going to be amended, magistrates have continued to stage protests. On Friday, some tens of magistrates have protested on the steps of the Bucharest Court of Appeal, arguing they are discontent with the GEO 7, for not being consulted regarding the latest amendments, and asking for its repeal. “The purpose of the rally is the independence of justice and a transparent legislative process to amend the justice laws after the preliminary consultation of the magistrate corps”, said on the prosecutors. Over 120 magistrates have protested in front of the Palace of Justice in Cluj, while also asking CSM president to notify the Constitutional Court over a constitutional conflict between the Government and the judiciary authority. Protesting magistrates received “martisoare” from a little boy. 50 magistrates from Constanta have also protested on Friday against the GEO 7, with magistrates from all courts in Constanta and lawyers in the Constant Bar joining the rally, as a first. Actors from the Bucharest National Theatre (TNB) also announced intention to protest against GEO 7. Actor Marius Manole, starring in the “Richard III” theatre play to be premiered next week, has posted a Facebook video message, urging his artist fellows to join the magistrates’ rally. 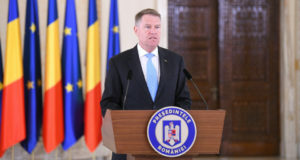 “I urge my colleagues across Romanian theatres to come out and protest on Sunday in front of the TNB, even if they don’t have any performance, to show rulers that we are not giving up, that we are not a people easy to humiliate and kneel and that there are still people fighting for freedom,” said Manole’s post. Previous: New protest rally announced on Sunday: Repeal the ordinance!